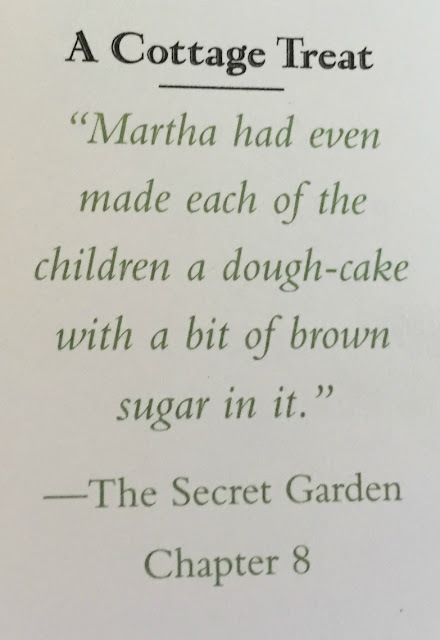 My daughter recently finished reading The Secret Garden for homeschool because it's one of those classics every girl should read, right? I honestly can't remember if I ever read it as a girl, but somehow I am familiar with the story. Besides having to write a short summary for each chapter and having to look up unfamiliar words, my daughter also had to answer a set of discussion questions I found online for free. For some reason, my printer only printed off page 10, so I didn't know there were other pages. :( Anyway, we only used the Topics for Discussion part. One night we watched The Secret Garden movie which was really good. And we both love Professor McGonagall (The actress, Maggie Smith, who plays Mrs. Medlock). Our favorite assignments by far were the cooking ones! 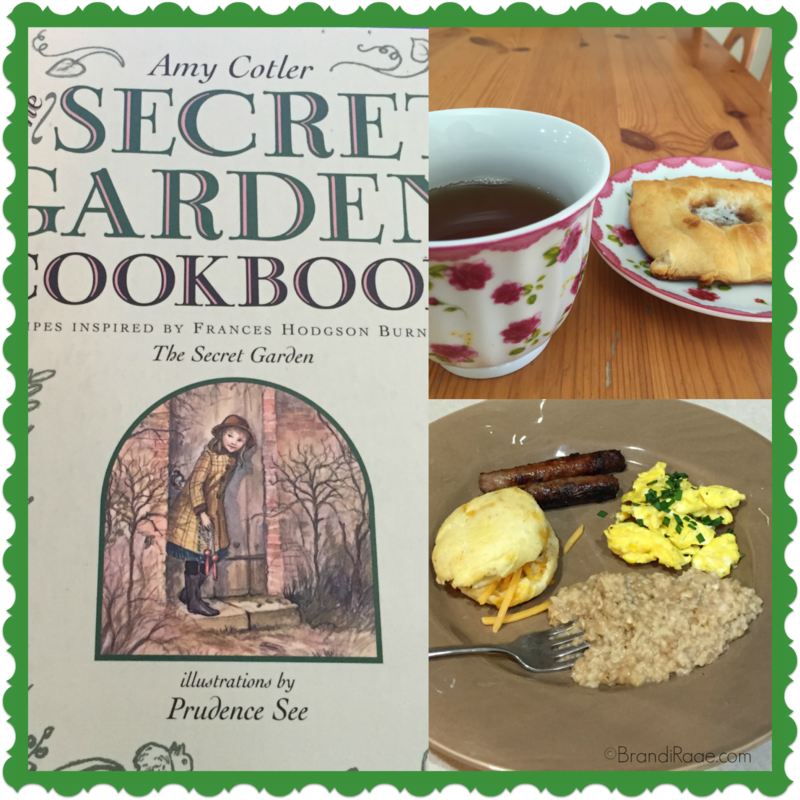 I was so excited when I came across The Secret Garden Cookbook by Amy Cotler. 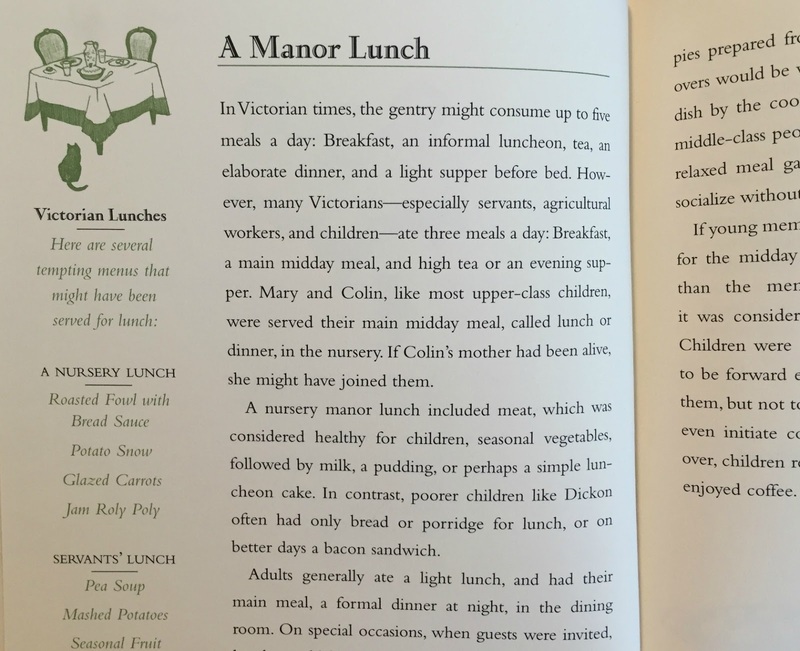 Each category is described in detail before the recipes begin. Quotes from The Secret Garden, English fun facts, food tidbits, and more decorate every single page of this cookbook. 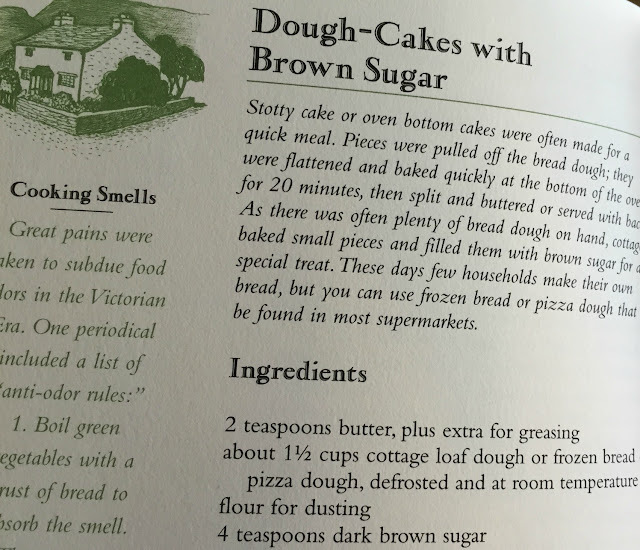 About half way through the book, my daughter chose to make a delicious cottage treat: Dough-Cakes with Brown Sugar. And tea to drink, of course! 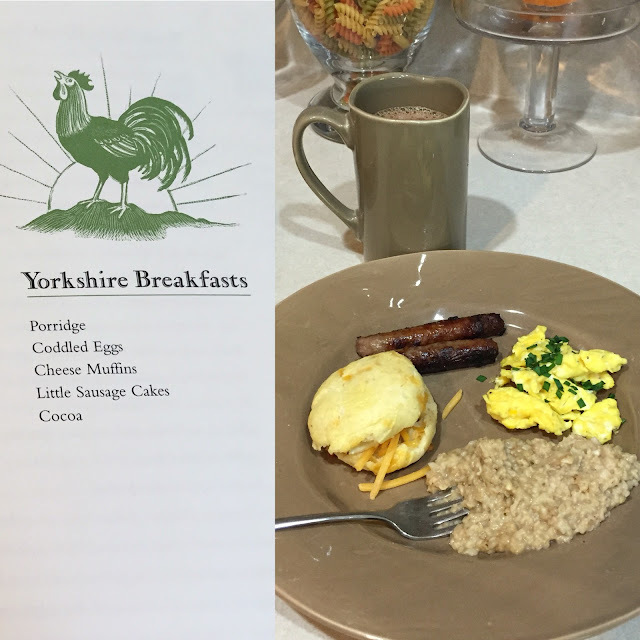 Once my daughter finished the book, we decided to recreate a Yorkshire breakfast minus coddled eggs. I don't own custard cups or ramekins, but even if I did, this mama doesn't like runny yolks! We also substituted sausage links (bangers, according to the English) for the sausage cakes. My daughter made the cheese muffins (biscuits) all by herself. The hot cocoa was definitely homemade! So yummy that way. 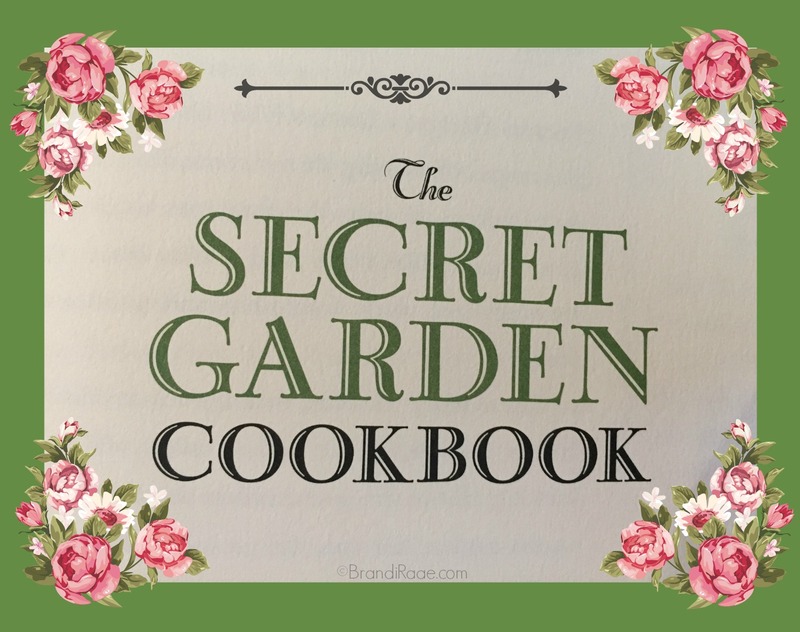 Hopefully cooking up some English fare together made The Secret Garden unforgettable for my daughter! We still might make some more recipes just for fun. What fun! 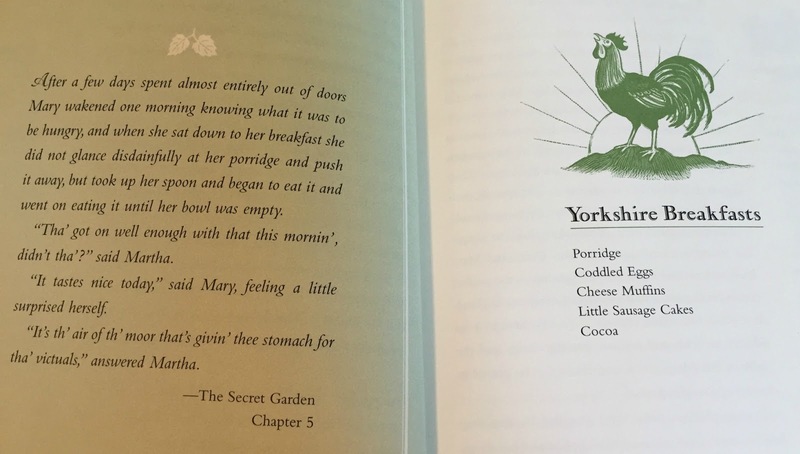 I love the idea of trying Yorkshire recipes to go along with this delightful book. Sounds like you and your daughter had a lot of fun! 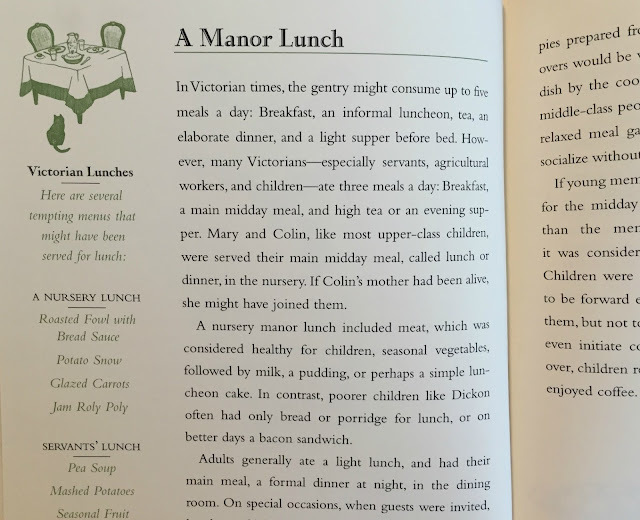 The cookbook looks inviting. My daughters and I did a similar thing when they were younger. After reading the Little House books we found a Little House Cookbook and tried some of the recipes. What a fun time! Thanks for sharing at #LMMLinkup! Blessings to you!